Castle Comfort Stairlifts offers top brand stairlifts, keen prices and fast installs for all those seeking stairlifts in Cork, Ireland. And all work comes with our no-quibble guarantees and famous customer service satisfaction. Hello Rebels, that’s all of you who reside in the southern Irish city of Cork also known as ‘Rebel County’ and ‘the real capital of Ireland’. Castle Comfort Stair Lifts are coming to town – or rather we’re already here. So if any of you Rebels or Corkonians are looking for a stairlift, please contact our local representative on 021 236 3222. 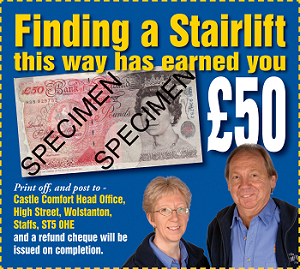 We can come out and measure up and help you decide which type of stairlift you need. We won’t give you the hard-sell, just advice; watch our founder Keith’s video for a taster and some information. We aren’t expensive either as you’ll see when you check our price comparison’s page. We look forward to hearing from you! Now let’s carry on with our short tour of the beautiful and interesting city of Cork. Cork is Ireland’s second largest city down in the south-western corner of the country. It’s built on the River Lee which breaks into two channels here; Cork is built on the island created by the channels. At the eastern end of the city the river channels converge and the River Lee flows onto Cork Harbour one of the largest natural harbours in the world. Cork is a major Irish seaport with docks and quays along the eastern side of the river. Cork is upstream in the upper harbour which allows ships up to 60,000 tonnes to navigate their way there. Larger ships – 90,000 tonnes – cannot pass further than Cobh which is in the lower harbour nearer the river mouth and one of the last harbour villages seen before hitting the Atlantic on the way to America. In fact the Titanic passed this way on her fateful voyage. Great Island where Cobh is situated. The Island has a population of some 10,000 and contains farming land too. Fota Island has the Fota Wildlife Park, the golf course and Fota House, once the family Estate of the Earls of Barrymore, sold off when the last surviving family member died in the 1970’s to the University of Cork. It is now owned and managed by the Irish Heritage Trust. Little Island is residential and industrial; Haulbowline Island is the HQ of the Irish navy and former prison Spike Island where prisoners were held before deportation to the penal colonies. We won’t hold you prisoner, in fact we’d like to free you up to have easier access within your home! That’s why Castle Comfort Stair Lifts are happy to look at options for you to purchase a stairlift. We have reconditioned and brand new stairlifts; we can repair stairlifts; our aim is make your home as accessible as possible. Want to know more, please give us a call on 021 236 3222. Rocky Island is now home to the Island Crematorium, the first one outside Dublin but it once housed ammunitions for the Royal Navy and was later used for storage by Irish Steel. Now one island is an oil refinery – Corkbeg Island – and one an Equestrian Centre – Hop Island; there are at least another four that are inhabited: Harper, Weir, Brick and Brown Islands. Although tucked down in the south west corner, Cork is well connected. As well as the waterways, there is good access to other parts of Ireland and to other countries from Cork. There is a ferry service to Wales and to France. Cork Airport has 68 internal and other destination flights with 60 flights leaving the airport daily. There are also good road and rail links. Interestingly Cork is one of Ireland’s sunniest cities with only 69 days per year when there is no ‘recordable’ sun and an average of almost 4 hours of sunshine a day. In fact temperatures in Cork are unlikely to go below 0°C or above 30°C. The downside is there is an average of 151 rainy days every year! A little like Dublin, Cork has seen a growth in IT and pharmaceutical companies in the area. It is renowned as the production capital of those powerful blue pills Viagra. In the IT world, Apple Inc currently employs 2,000 +, Logitech and EMC Corporation have depots there too. Heineken have taken over local breweries and continue to brew the iconic Murphy’s Irish Stout and Beamish. Multi-national company Amazon.com has a base here. Ford Motor Company used to manufacture cars here until 1984. 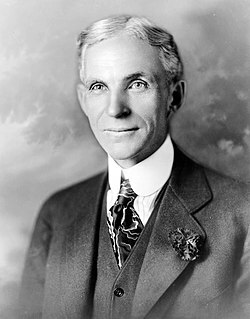 Cork was chosen as it was the home of the innovative Henry Ford’s grandfather. It is probably through ‘culture’ in its various forms and sport that most Corkonians are known around the world. Famous actor ‘Rebel’ Cillian Murphy has starred in several Irish and British stage plays and films before making the big time in films like ‘28 Days Later’ and ‘Inception’. There are a number of musicians and opera stars who all hail from Cork; the former include folk singer John Spillane, The Frank and Walters, Sultons of Ping, Simple Kid and inspirational rock singer Rory Gallagher who tragically died of liver failure when only 47; the latter include Cara O'Sullivan, Mary Hegarty, Brendan Collins and Sam McElroy. Writers from Cork include short story and literary critic Frank O’Connor whose short story form is now honoured in an annual festival in Cork and Sean O’Faolain another prolific short-story writer. Poet and novelist Thomas McCarthy who attended University College Cork, poet Gerry Murphy both still live in Cork; novelist and poet William Wall who also taught English and Drama at Presentation Brothers College where he is said to have influenced Cillian Murphy’s decision to try acting. Footballer Roy Keane was born in Cobh and played for Cobh Ramblers before his professional career propelled him into the premiership league and his time at Manchester United. He is now manager at Ipswich Town. In the meantime don’t forget we can help you with your stairlift choices. Castle Comfort Stair Lifts will be happy to point you in the direction of grants to help with your financial outlay and don’t forget to use our €50 voucher towards the costs. Please give us a call on 021 236 3222 and we’ll be happy to address any concerns and answer any of your questions. 2 x 50 euros stairlifts voucher to anyone who can tell me why it´s called Cork.